Latest Update: After outage for several days, MovieBox iOS project went to its final death. More bad news comes. Reports suggest that the Android counterpart of MovieBox - ShowBox, is seemingly facing the similiar fate. It guides where and how to download Movie Box app for Android and recommends the best Movie Box Android alternative for free watching HD movies/TV shows on Android with no hassle. Are you thinking of the most favorable way to free watch movies or TV shows on your Android devices during a family journey around holiday season? Movie Box, an awful app enabling users to watch and stream movies/TV shows/music videos online for free, may be introduced to you. If you are questioned where and how to download Movie Box for Android? Here's a solution. Movie Box is an application focusing on supplying enormous movies (full movie and trailers), TV shows and music videos in SD (360p/480p), HD (720p) and continuously updates it lists to add latest released stuffs. It enables users to sort movies by genre, rating or year to quickly access topped offers. Instead of watching online, you can free download and stream your favorite movies, TV shows and music videos with Movie Box. WinX Online Movie Downloader and Converter - A Windows-based program available to download/convert any SD, 720p/1080pHD, 4K/8K, 3D movies/TV shows/music videos from YouTube, Dailymotion, Vimeo, Metacafe and similar sites (300+) to MP4 format for Android speedily and safely. Movie Box app for Android debuts in August 2013 with a lite version named Show Box. It is published on Google Play at the beginning but unfortunately unavailable now. What's worse, the download link given on twitter of Movie Box is down that baffled fans who want to download Movie Box for Android. In fact, expect Google Play, there are many great Android app stores for example Aptoide offering resource for Movie Box for Android download. Search Show Box (lite version of Movie Box for Android) on Aptoide. Click Install button on app page to download and install it on your Android devices. 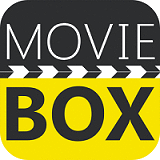 Movie Box for Android indeed satisfies Android Users who would like to free watch movies/TV shows online as well as brings issues after downloading Movie Box for Android, such as app not working, no episodes of TV shows, no ads-free and so on. In order to free watch any movies and TV shows without annoyed ads, interruptions caused by poor network and huge mobile traffic cost, it is suggested to free download movies/TV shows from video sites with the best Movie Box for Android alternative. WinX YouTube Downloader, the best Movie Box for Android alternative, has powerful ability to free download any SD, 720p/1080p HD and even 4K Ultra HD hot movies and TV shows in MP4 format, which is compatible with almost all Android devices, from 300+ online video-sharing sites, including YouTube, Dailymotion, Vimeo, Metacafe and more in a flash. As a 100% clean and safe program, it is bundled no plug-ins, adware, spyware or virus at all. How to Free Download HD Movies/TV Shows? Free download SD/HD/4K/8K/3D movies/TV shows with ease. Download/convert HD movies/TV shows to Android at will. Step 1. Launch WinX YouTube Downloader after download and installation. Hit +link-shaped button on navigation bar. Step 2. Search wanted movie on any supported video site. Copy and paste its URL to address bar of pop-up window. Step 3. Video info, duration amd versions varying from resolution, format, size, codec will be presented within seconds by hitting Analyze button. Check 1920x1080 MP4 option and click OK. Step 4. Save movie to target folder and click Download button to start movie download process. After all is done, transfer the movie to Android devices via USB cable and enjoy it on the move. * Free Download SD/HD/4K UHD movies/videos from YouTube, Dailymotion, Vimeo, Metacafe etc, in MP4/FLV/WebM/3GP. * Convert online movies/videos or other HD movies/videos (MKV, MTS/M2TS, MOD, TOD) to Android devices like Samsung Galaxy S/Note, Google Nexus, Sony Xperia and iPhone, iPad, Windows Phone, PS3/4, Xbox One/360 at No.1 fast speed by supporting multi-core CPU as well as Intel QSV and Nvidia CUDA/NVENC hardware acceleration technology.